Fight your way across the Wastelands. 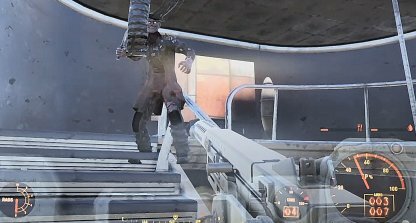 Learn tips & tricks that will help you fight better, including using VATS, cover, and different weapons. Don't go rushing into battle without preparing for it first. 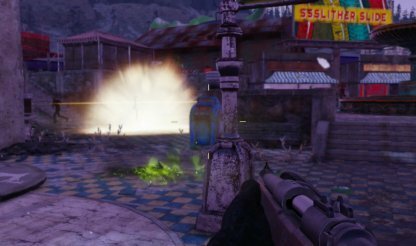 Check out these essential tips to fight better and survive in the Wastelands. Keep track of enemies around you through the compass! 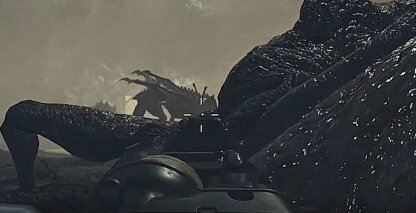 You can see from there the general locations of enemies, as well as whether they're above or below you. 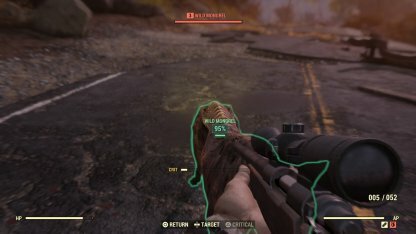 Accessing your Pip-Boy to change weapons in battle can easily get you killed. Use your Favorites Wheel to quickly switch between your weapons even in the midst of battle. You can also assign a hotkey to quickly use a healing item! Just be careful as healing items will be consumed even if you're in full health if you accidentally hit that hotkey. Leaving your character to suffer starvation and dehydration has major drawbacks to your Action Points and health. They each have their own effects that will limit your capacity to fight. You will continuously receive health damage when you are suffering from starvation. The only fix for this is to eat food so make sure to always have canned food for these kinds of emergency situations. 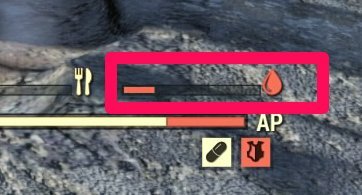 Dehydration on the other hand will limit your overall AP meter, limiting your sprint and VATS use. Always stock up a few water in your inventory before going on adventures! When exploring the vast wilderness of Apalachia, it's best to use long-range weapons instead. Take advantage of the wide area by moving around and shooting enemies from a distance. In closed-spaced however, it's best to use short-range weapons. Shotguns in particular can do immense damage in closed spaced due to its spread and the lack of escape routes for enemies. Do a lot of damage in one shot with grenades! You can use it as an opener for battling tougher enemies or in taking out multiple enemies grouped up in a small space. It's recommended to only use your Power Armor when fighting high level enemies to conserve the use of its Fusion Cell. With its high damage and radiation resistance, it will keep you alive for longer against tough enemies. 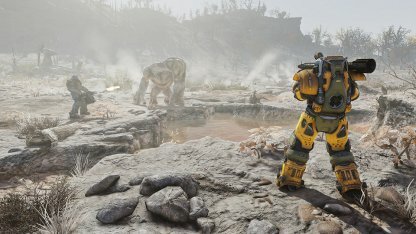 Since being in the Power Armor makes you extremely tough, you can conserve bullets by choosing to engage enemies with melee instead. You can also use VATS to keep track of enemies when hitting them. When fighting, always prioritize finding cover first. This will allow you breathing space and protection from enemies raining gunfire at you. Return aggro to them by peeking from your cover! 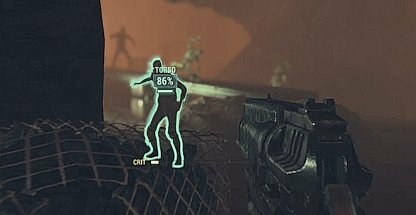 Don't give Melee enemies the opportunity to damage you by moving away from them while shooting them. Sprint away quickly if they catch on to you. 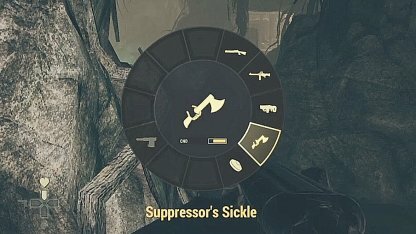 Using VATS will any enemies that is visible from where you are. This is a great scouting method especially during the night or in areas where it is dark. 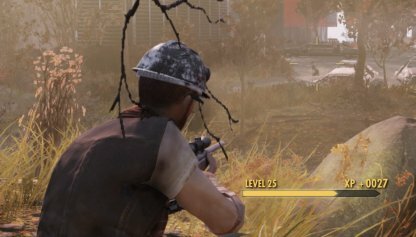 Another good trait to have in the Wastelands is learning when to pick a fight and avoiding one. Check your chances of winning first by scouting out enemy numbers and levels before engaging in battle. 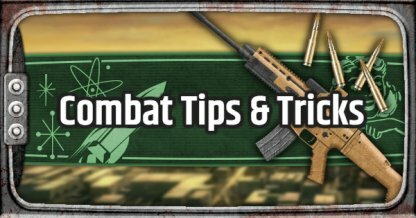 Succesfully shooting enemies when hidden from their sights will apply a 2x multiplier to your damage! Start battles with sneak shots for extra damage or use it to take care of lower level enemies first. 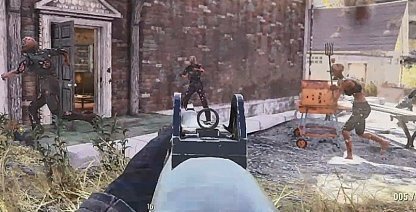 You can see your status at the top of the screen when you're crouching. If enemies have been alerted to your presence, the status will change color to red. Standing up will also show enemies you position. Don't stay stationary as this will make it easier for enemies to gang up on you. Move across cover to get better vantage points against enemies or angles to shoot them from. 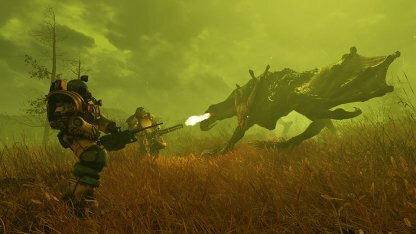 VATS will lock on to enemies that you select, connecting your shots with them! This is particularly helpful when dealing with fast moving enemies like Feral Ghouls and Stingwings.